It seeks to raise awareness of global population issues. The event was established by the Governing Council of the United Nations Development Programme in 1989. Theme for 2018: Family planning is a human right. Indian Women’s Cricket Team Coach Tushar Arothe has stepped down from the role citing personal reasons. He took over as head coach in April 2017 succeeding Purnima Rau from the job. Having previously been part of the Indian women’s coaching staff between 2008 and 2012, Arothe had been initially appointed until the 2017 World Cup. 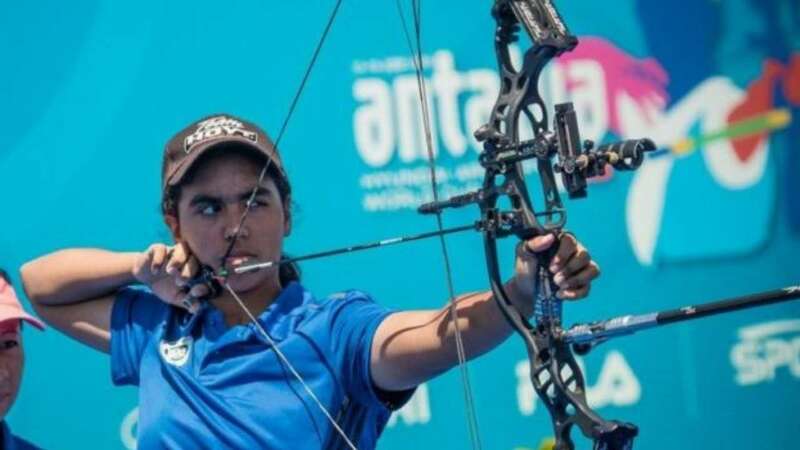 In the Archery Asia Cup World Ranking Tournament Stage 3 held at Taipei, India secured three silver medals and a bronze by finishing joint third with Iran. Korea topped the tally with 14 medals, 8 of them being gold. Taipei bagged 5 medals with two gold medals. It will be concluded in two days to avoid the incoming super typhoon Maria. Andhra Pradesh has topped the ease of doing annual business ranking of states and Union Territories by the World Bank and Department of Industrial Policy and Promotion. Telangana and Haryana are at the second and third positions respectively. DIPP in collaboration with World Bank conducts an annual reform exercise for all States/UTs under the Business Reform Action Plan (BRAP). 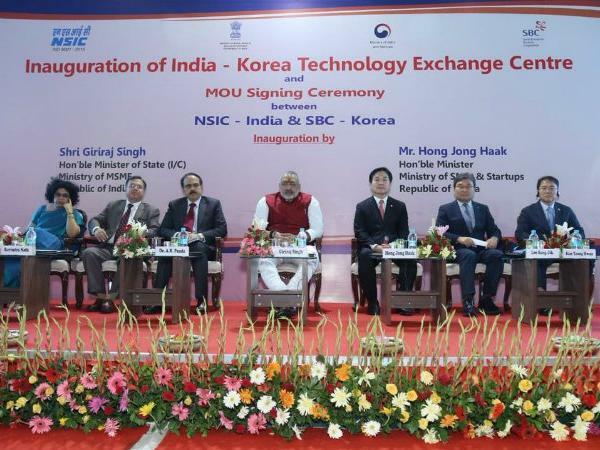 The India-Korea Technology Exchange Centre was inaugurated by the Minister of State (I/C) MSME Giriraj Singh and Minister of SMEs and Start-ups of Republic of Korea, Hong Jong- hak in New Delhi. Speaking on this occasion, Giriraj Singh said that the purpose of the Technology Exchange Centre is to create a platform for micro, small and medium enterprises of India and Korea where they can be assisted to identify and exchange latest technologies, share management expertise, product development and technology applications for product development. The MSME Minister further said that the Technology Centre will also work towards building reliable alliances in Space, Solar Energy, Nano technologies and some other upcoming technologies. 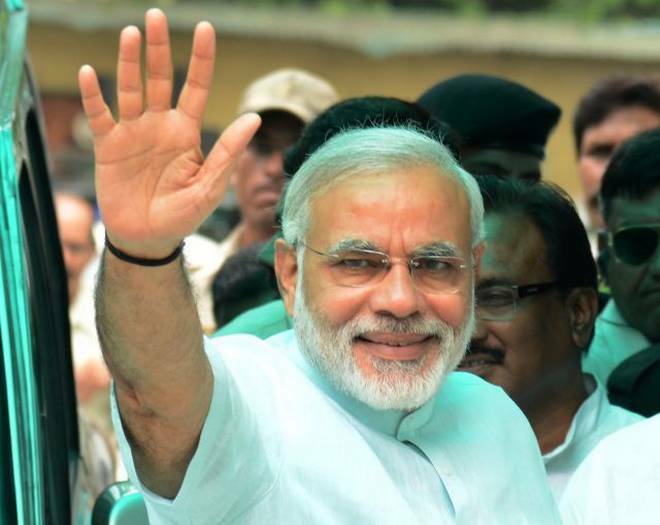 According to a study conducted by Burson Cohn & Wolfe, PM Modi is the 3rd most followed world leader on Twitter with 42 million followers. Modi is just behind US President Donald Trump & Pope Francis. With over 11 million followers, India’s external affairs minister Sushma Swaraj is not only the most followed female world leader but also the most followed foreign minister in the world. Andhra Pradesh government launched 60 ‘Anna’ canteens serving breakfast, lunch and dinner at just ₹5, in nearly 25 municipalities across the state in the first phase, and will be run by Akshaya Patra Foundation. Chief minister N. Chandrababu Naidu inaugurated a canteen in Vijayawada. In the second phase of the project worth ₹83 crore, another 103 canteens would be inaugurated by August 15. Gujarat Chief Minister Vijay Rupani has approved the 39-crore rupees ‘Seema Darshan’ project for developing more infrastructure facilities from T-Junction to Zero Point at Nadabet near Suigam in Banaskantha district. The main objective behind the move is to instill patriotism through a unique Gujarat initiative for border tourism. The project being developed on Wagah Border pattern entails an exhibition hall and a parade ground with an amphitheater for 5,000 people. The ban will be imposed in Bhubaneswar, Cuttack, Rourkela, Berhampur and Sambalpur municipal corporations and Puri town in the first phase. The entire state will be covered in separate phases over the span of two years. 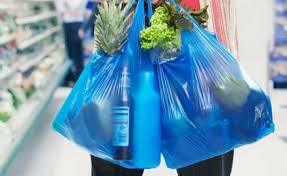 The Uttar Pradesh and Maharashtra governments have also announced a ban on plastic. In Maharashtra, the plastic ban came into effect on June 23 with the state government imposing fines of Rs 5,000 for a first offence, Rs 10,000 for the second, and up to Rs 25,000 and a three-month jail term for repeated violations. The plastic ban in Uttar Pradesh is set to be implemented from July 15. The Western Ghats, one of India’s Hottest Biodiversity Hotspots and UNESCO World Heritage site, has been marked fourth in the Lonely Planet’s top five ‘2018 Best in Asia’ list. Older than the Himalayas and well known for its rich and unique flora and fauna, the Western Ghats supports the life of 7,402 species of flowering plants, 1814 species of non-flowering plants, 139 mammal species, 508 bird species, 179 amphibian species, 6000 insects species and 290 freshwater fish species. One of the flowering plant species, Neelakurinji (Strobilanthes kunthiana) which blooms once every 12 years and has started to bloom in the famed hill station of Munnar, has been mentioned in the report. 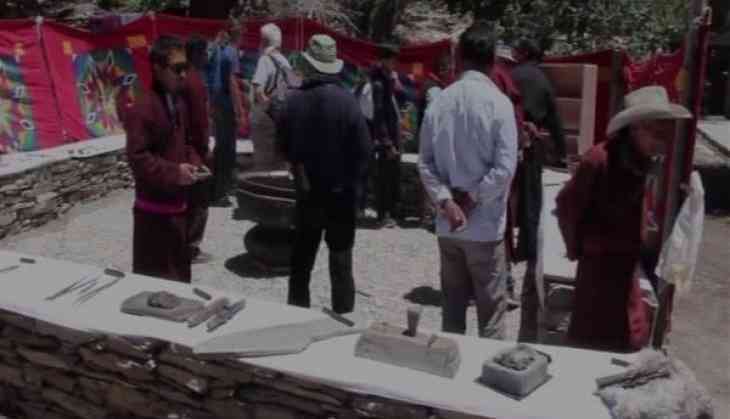 The first-ever metal craft exhibition was held in Chilling village, Leh showcasing the indigenous craft to the visitors. The exhibition of this 400-year-old craft will remain open for the next two months. Chilling is known for its metal craftwork, which began decades ago and it is considered to be its identity. This event would encourage and involve young generations in the village to continue this craft. ndia was ranked 57th in the latest Global Innovation Index (GII) rankings. 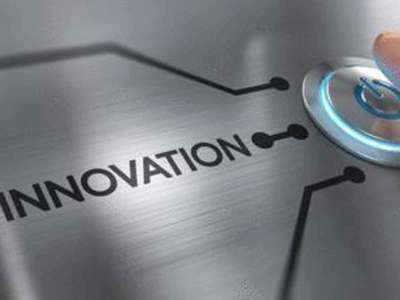 Switzerland maintained its number one position in the Global Innovation Index rankings. Other countries that fell in the top 10 list were Netherlands, Sweden, United Kingdom, United States of America, Finland, Denmark and Germany. GII rankings are published by the World International Property Organisation (WIPO). 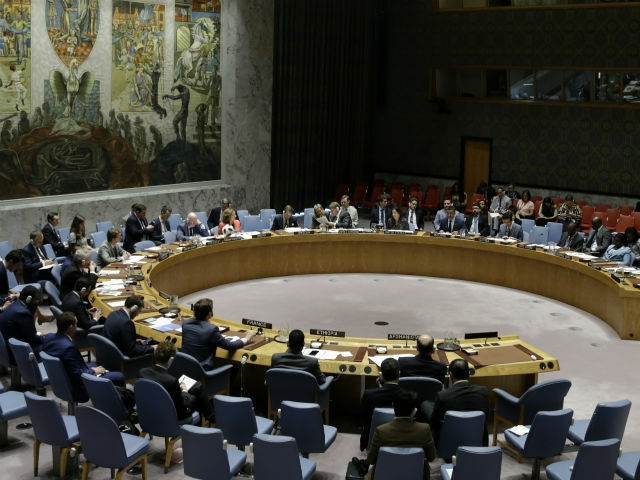 UN Security Council has adopted resolution 2427 aimed at a framework for mainstreaming protection, rights, well-being and empowerment of children throughout the conflict cycle. The resolution won unanimous approval of 15 members of the council. The resolution strongly condemns the recruitment & use of children by parties to the armed conflict as well as their re-recruitment. Nepali Prime Minister KP Sharma Oli inaugurated a library built by the Indian Government in the presence of Indian Ambassador Manjeev Singh Puri. This would provide research and reference facilities to the researchers and academicians of India and Nepal. It has a facility of an advanced offset press for printing of books. Nepal received financial assistance of NRs. 43.94 million from India for construction of the building. 1. 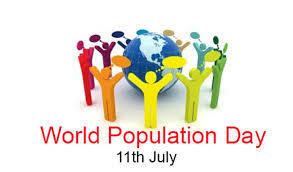 UNDP announced World Population day on which of the following days? 2. Who resigned recently as Indian Women team’s cricket coach? 3. India stood at which position at the Archery Asia Cup Stage 3 held in Taipei? 4. Which of the following states has topped the list of Ease of doing annual business ranking of the states? 5. According to a study conducted by Burson Cohn & Wolfe, Who is the most followed leader in the world? 6. Which of the following states has launched Anna canteens that serve meals at just Rs.5? 7. Where is the India-Korea Technology Exchange Centre inaugurated recently? 8. Which of the following state government has given in-principle approval for the 39-crore rupees ‘Seema Darshan’ project for developing more infrastructure facilities border tourism across the state? 9. Which of the following states has not banned the use of plastic? 10. Which of the following places in India has been named fourth in the list of Lonely Planet’s Best destinations in Asia 2018? 11. Where is the first-ever metal craft exhibition inaugurated in India? 12. What is India’s rank in the Global Innovation Index 2018? 13. What is the theme of World Population Day 2018? 14. The United Nations Security Council (UNSC) has adopted which resolution to protect children in armed conflict? 15. In which of the following countries does India build a library for its academicians?